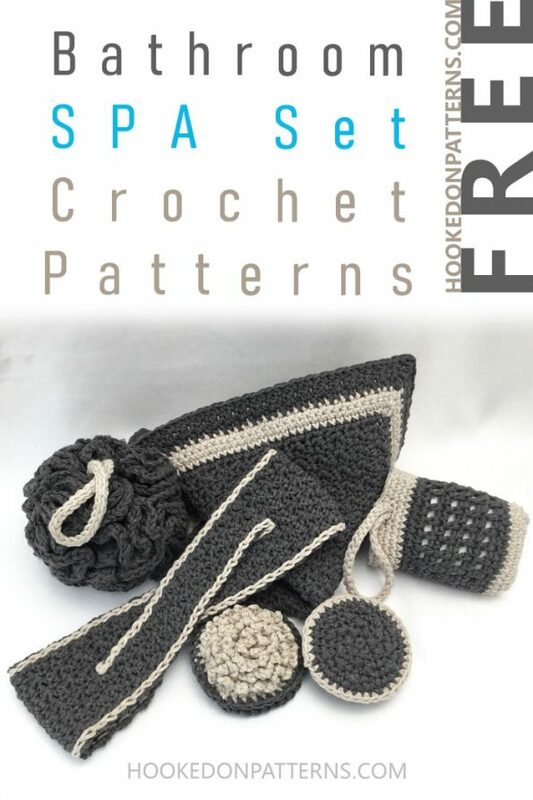 Hello and welcome to the bathroom spa set free crochet patterns Crochet Along! For this CAL, we will be creating a luxury spa style gift set. This will be perfect for gifting at Christmas, or a great seller for the upcoming Christmas craft fair season. You also have the choice to purchase the complete PDF download. This includes all the free-to-view patterns, plus an exclusive addition for the set; Face Scrubbies! These circular face pads fit over the fingers and have 2 surface textures, exfoliating and cleansing. Not only that, with the download you’ll also get a printable set of gift tags! These customised gift tags add the perfect finishing touch to your luxury spa gift set. Again, these tags are exclusive to the PDF download, available to purchase now!